Driverless cars aren’t ruling the roads just yet. Thankfully for us, good PPC campaigns don’t run themselves either. We’ll get to know your business, your competitors, and your USPs. This will help us set the direction for your campaign. Next, we use our specialist tools and knowledge to identify the very best keywords and ad groups to get you where you need to be. Every day, we’ll refine your campaign to make sure it’s running as well as it possibly can. We’ll be keeping a keen eye on that Cost-per-click we mentioned earlier, along with the Click-through-rate. This will keep your costs down, and your inbound traffic up. Our work doesn’t just focus on the traditional web search results list. We take all that Google has on offer, and make it work for you. This includes the traditional Google Search, but also Google Display and Google Shopping too. Google is multifaceted creature and, handled correctly, can bring us all great things. Thanks to the fact that we’re so good at what we do, we’ve been lucky enough to work with clients across loads of industries, including eCommerce and Retail. Each have their nuances. No matter what your business, we’re on it. * All prices subject to VAT at current rate. 1 Additional fees may apply if your AdWords account needs development work. 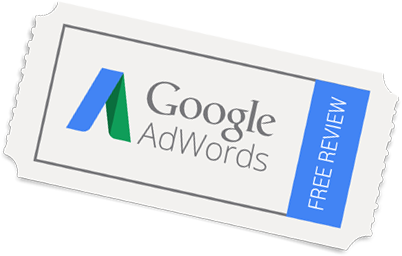 Let us audit your existing Google AdWords Account for Free! One of our certified experts will review your adwords free of charge. Most Google AdWords accounts can boost profitability by at least 20% almost immediately with the right tactics. Sign up and make a difference today.